Amy Caffarello “fell into” her first nonprofit job by answering an ad for an office manager. 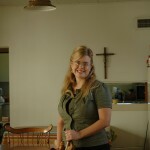 Since that beginning in 1997, she has worked for several nonprofits and in the process has found everything she could ask for in a career: “I am earning my living by taking lessons on how to live as I believe I should.” At the time of her fellowship, she was executive director of St. Joseph the Worker, a small organization helping homeless and formerly incarcerated individuals learn how to rejoin the workforce and achieve self-sufficiency. “Social enterprise was one of my main learning objectives. One thing is clearer to me: You cannot discover great social enterprise options just by observing what another agency does; you must consider your options in the context of the entire community. What are the characteristics of our community? Where are there gaps in community services? How can we provide products or services our community needs while offering experiences that are desirable, dignified, and useful for the individuals doing the work? “My Fellowship also took me to Harvard Business School for a four-day workshop on Performance Measures for Nonprofit Organizations. The class had 80 nonprofit leaders, 35 percent of whom were from other countries. The variety of ideas and perspective were astonishing. The best gift you could receive is an answer you never saw coming. Getting just a glimpse of issues people across the globe are facing (some surprisingly familiar) made my world seem a little smaller and a little less obscure. 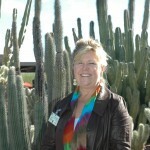 Elaine McGinn joined the Desert Botanical Garden in 1997 as exhibits coordinator, then director of exhibits and at the time of her sabbatical, director of planning and exhibits. She was involved in planning and executing the Harriet K. Maxwell Desert Wildflower Trail, the Marshall Butterfly Pavilion, the Sybil B. Harrington Cactus and Succulent Garden, and the Berlin Agave Forest. “The primary focus of my fellowship was an exploration of how design of gardens is influenced by social, cultural, and horticultural trends. Through a first-hand examining of gardens in Italy, Spain, and the United Stated, I explored best practices in innovative design both from historic and contemporary perspectives. “The effect my Piper Fellows grant has had on the Desert Botanical Garden is evolving. Early in my sabbatical I found myself trying to translate my experiences and new-found inspirations to the Garden. I soon realized that I was trying to force the translation and that I needed time to contemplate the experiences. Paul Mittman, ND and Ed.D., began his work 28 years ago in naturopathic medicine which integrates therapeutic lifestyle changes with conventional and natural therapies. 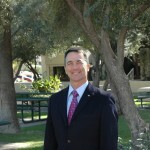 After 12 years in private practice, he moved to Arizona in 1997 to join the faculty of Southwest College of Naturopathic Medicine and became college president in 1999. In May 2009, the college purchased an office building adjacent to the school’s Tempe campus, creating an opportunity to co-locate medical centers and academic facilities in a single site. At the time of his fellowship, the board of trustees had challenged Dr. Mittman to raise the funds required for capital improvements as well as expansion of care to medically underserved populations. “My Piper Fellowship gave me the opportunity to blend three distinct yet related activities into a year-long sabbatical. I completed a five-course Certificate of Fundraising Management at Indiana University’s Center on Philanthropy; worked with the Executive Vice President of LIVESTRONG (formerly the Lance Armstrong Foundation) and bicycled over 4,500 miles including trips down Northern California’s coast and a 90-mile LIVESTRONG Challenge in the Texas hills outside Austin. “I kept a journal throughout the course of the Fellowship to record key findings and insights and to reflect upon how to incorporate them into my work at the College. The Fellowship enhanced my grasp of and performance in development, improved my health, and precipitated one of the most significant decisions of the last 25 years. 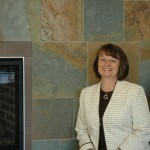 “My sabbatical experience was built around a best practice tour of five continuing care retirement communities located across the United States. The face-to-face time with peers and their trustees was invaluable in terms of helping me to grasp the nuances of expansion and change and how important it is to continue to use the mission, values and vision of the Beatitudes Campus to guide our evolution. “My personal development experience began with a writers’ workshop in Homer Point, Alaska. There I learned a great deal in a very short period about the craft of creative writing and saw my own work evolve quite rapidly. I have begun to write a management and governance book, based on my experiences over 20-plus years at the Beatitudes Campus. In 1999, as a college student, Mary Peterson co-founded Maggie’s Place, a community that provides housing for expectant women who are alone or living on the streets. At the time of her fellowship the organization operated five homes in three states serving 40 women at a time and was preparing for national expansion. Ms. Peterson has won a number of awards and recognitions from Arizona Business Journal, Arizona Ecumenical Council, Catholic Social Services, Phoenix Chamber of Commerce, Soroptimist International, University of Arizona, and Xavier College Preparatory. Ms. Peterson’s sabbatical included Spanish language tutorials; executive coaching; attending a social enterprise conference at Harvard University and an executive leadership course at Stanford University; participating in an Acedia workshop; studying the L’Arche model of communities and programs with its founder, Jean Vanier; and attending the Opportunity Collaboration on Alleviating Poverty conference that focused on the reduction of poverty through social entrepreneurship. 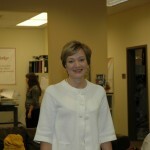 As a result of her sabbatical, a social enterprise Maggie’s Thrift was launched to raise money for Maggie’s Place, and also provide job training to its clients. Ms. Peterson reported that the coaching element of the fellowship resulted in internal restructuring with the goal that change will lead to organizational stability.